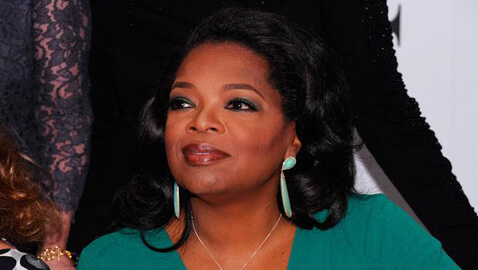 According to Forbes.com’s list of highest-paid celebrities released on Monday, Oprah Winfrey continues to lead the brigade for the fourth straight year with an estimated earnings of $165 million made between May 2011 and May 2012. While Oprah’s new joint venture with Discovery Communications, the OWN network is not doing so well, her ownership in syndicated TV and other media products including shows like “Dr. Phil,” “Rachael Ray,” “The Dr. Oz Show” etcetera have helped to maintain her position as the highest-paid celebrity. Next on the list is movie director Michael Bay, the man behind “Transformers: Dark of the Moon” released last year. Taking into account his earnings from the movie ticket sales as well as sales of toys and movie related accessories and other revenue, Michael Bay made $160 million from May 2011 to May 2012. During the same period, Steven Spielberg earned $130 million from films like “War Horse,” “Adventures of Tintin” and TV shows like “Smash.” Fourth on the list was Jerry Bruckheimer with $115 million earnings in the last 12-month period, and music producer Dr. Dre came in fifth with $110 million in earnings. Bruckheimer made his money with both TV shows and films including “Pirates of the Caribbean: On Stranger Tides” while Dr. Dre made most of his earnings from the sale of part of his stake in the Beats by Dr. Dre headphone company. The rest five of the top 10 highest-earning celebrities over May 2011-May 2012 included, actor and producer Tyler Perry at $105 million, radio and TV personality Howard Stern at $95 million, author James Patterson at $94 million, and movie producer George Lucas at $90 million.